What a sight to see. Hiking in the high country, you look up and there above you is a mountain goat! There is a moment of making eye contact then suddenly he's gone--out of sight. 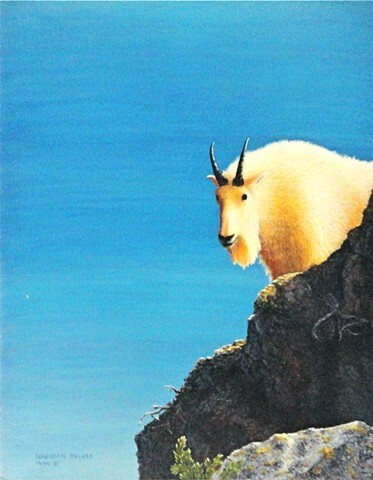 This is a painting from one of my many sightings of mountain goats in the high country.